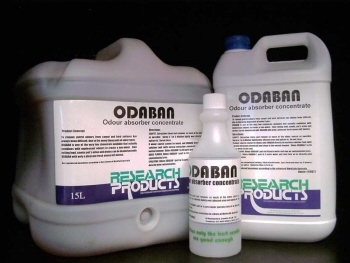 Odaban E Odour Absorber is designed to remove putrid odours from carpet and hard surfaces. It leaves a fresh spicy aroma. It can also deodorise rotting food, smoke, pets urine and drains. An antimicrobial, fast-drying, deodoriser in the dry carpet cleaning process, with spicy aroma residual. Used in conjunction with TURBO DRY. Available in 15L and 5L. CARPET: Extraction clean and remove as much of the odour source as possible, spray a 1 to 5 dilution lightly over affected area and agitate in. Do not rinse. 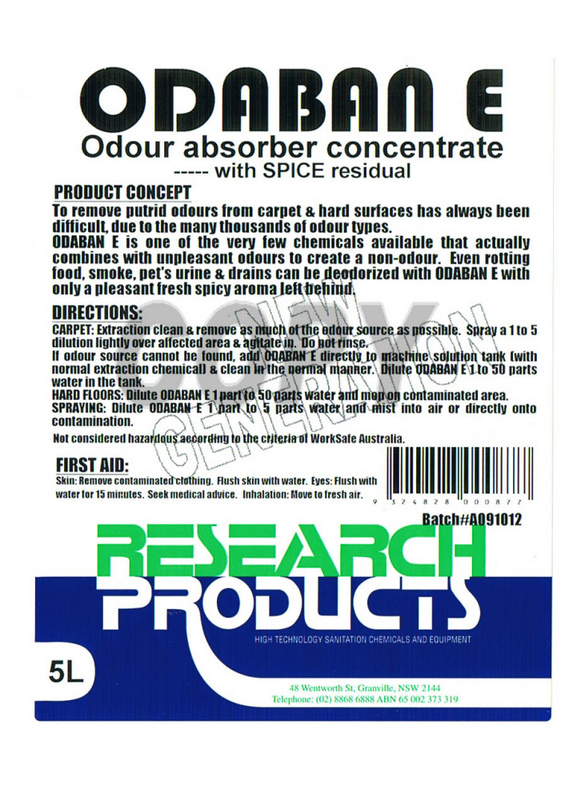 If odur source cannot be detected add ODABAN E directly into the machine solution tank with normal extration chemical and clean in the normal manner. Dilute 1 part to 50 parts in the tank. HARD FLOORS: Dilute ODABAN E 1 part to 50 water and mop on contaminated area. 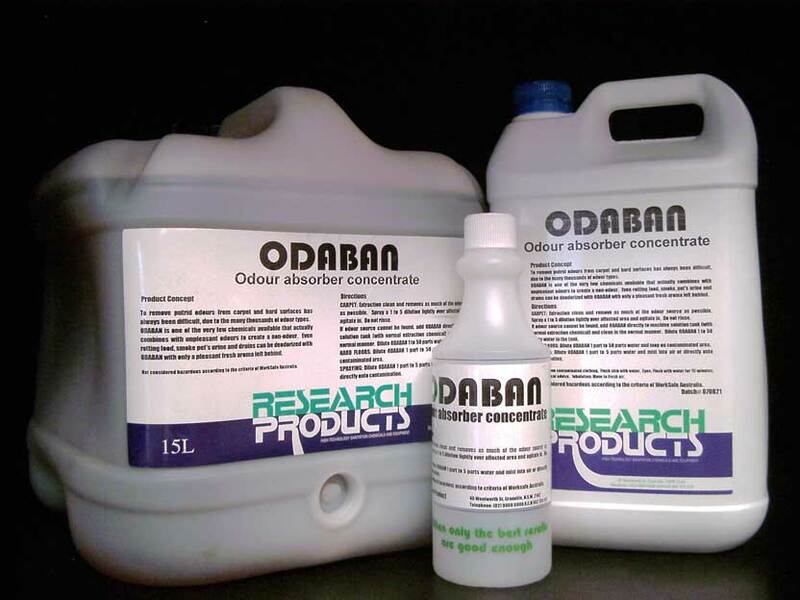 SPRAYING: Dilute ODABAN E 1 part to 5 water and mist into the air or directly onto contamination.